So Young. So Fair. So Debonair! Pepsi Cola! Sometimes a big bold color advertisement is just too pretty to pass up. This time it is a vintage Pepsi ad. 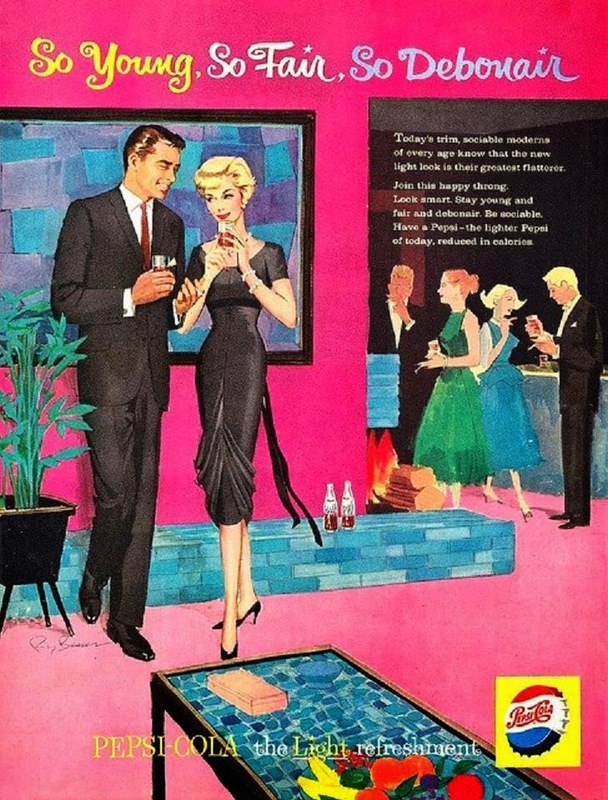 They really did have oodles of these mid century ad's with great backgrounds. They always had a pretty girl in all of them... but it is the art work that really captures the greatness of the time period. Great ad! Never would have guessed from looking at pop ads today that that was one for Pepsi!